Whoever loses this game will definitely finish fourth in Group B, so there is a lot to be said for grabbing the win in this game. However wins will finish second if Olympiacos defeats Anadolu or the winner will finish third if Anadolu defeats Olympiacos. This means that there will be a lengthy wait for the winner to see just where they lie in Group B. The hosts are currently in third position but given the tightness of the group, that counts for very little. The 5-4 record has been built on a strong home record and Laboral defeated Cedevita earlier in the campaign, so they’ll have no fear going into this game. Ioannis Bourousis has been in excellent form, as befits the leader of the performance index rating and he’ll likely be the key man in this game for the Spanish side. However, players like Kim Tillie, Darko Planinic and Toko Shengelia have all played their part in taking Laboral into the Top 16 in the Euroleague. 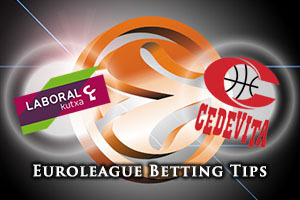 There is nothing for Zagreb to lose in this game and this could well see Cedevita play with a lot of confidence and spirit. Miro Bilan has been one of the top performers this campaign, he is the fourth highest scorer so far this season and if he is able to play at his best, there is a very good chance that Cedevita could be moving up the table before the weekend is over. Luka Zoric and Marko Arapovic have both been in good form this season, and there is no reason why they cannot leave their mark on this match. When it comes to finding a game with plenty of excitement and drama, the open-nature of this tie may give you exactly what you are looking for on Thursday evening. 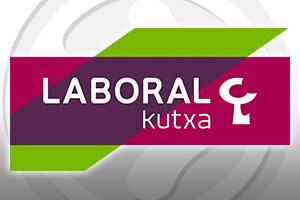 The hosts are big favourites for this game and taking Laboral Kutxa Vitoria Gasteiz at -9.5 at odds of 1.90 isn’t a bad bet. For the Over/Under market, you should look to bet OVER 159.5 at odds of 1.90 on Thursday. Bet Now!